At present, I have two bicycles, a custom Rodriguez and a Surly Steamroller. 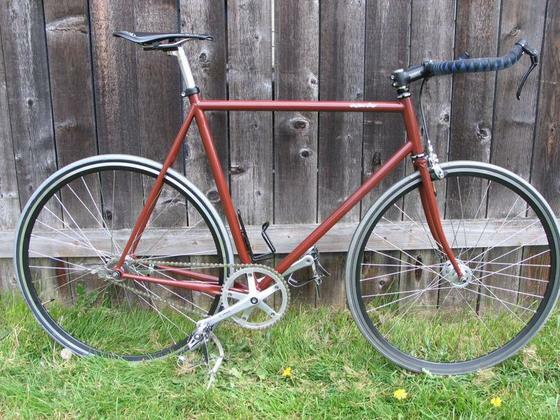 Both are singlespeed and setup to use a coaster brake. The installed coaster brakes are made by Velosteel in the Czech Republic to a Sachs roller-clutch design that was first patented in 1904. This type of brake works very well and is beautifully made. 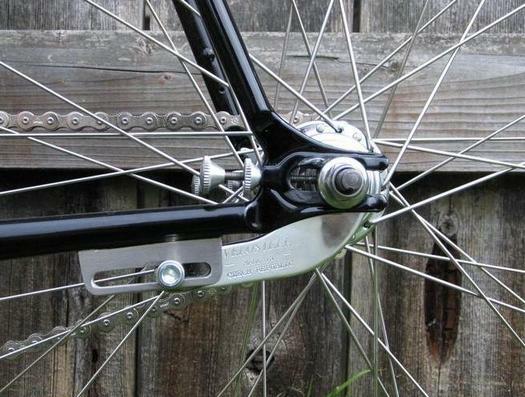 Though the brakes are new, they harken back to a time when the coaster brake reigned supreme in much of the bicycle world. 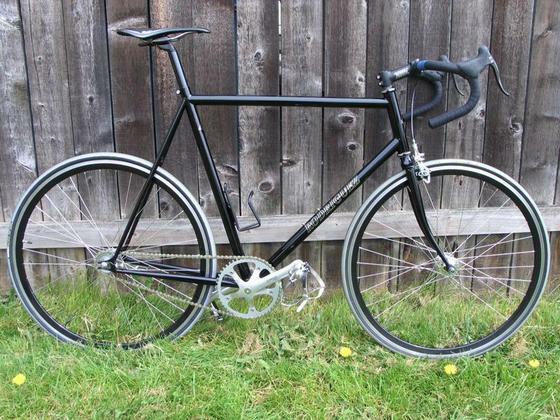 This bike was custom made by R&E Cycles here in Seattle and is the bike I ride most of the time. It is made with Tru-Temper Ox Platinum tubes and is very responsive. The wheels are built using Velocity Deep Vee rims with the front 'laced' to a Phil Wood hub and the rear to a Velosteel. I run Vredestein Fortezza Tricomp tires which grip the road very well especially in wet conditions. The frame has a slack geometry and is very comfortable during longer rides. The cranks are Campagnolo Record Pista with a 49 tooth chainring and the pedals are 'old school' Campy Superleggeri track. 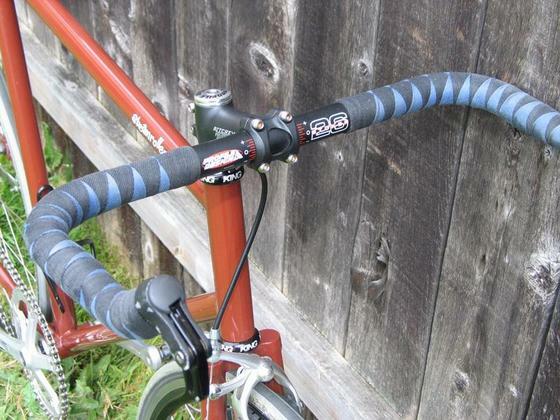 The front brake is Campy Athena and the levers are Campy Record Carbon. 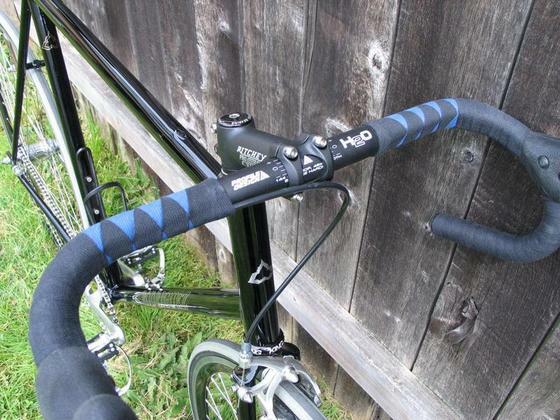 Profile bars, Chris King headset and Selle Italia SLR seat round out the package. This bike was a real splurge for me but I have never regretted the investment and would highly recommend a custom frame to anyone (finances permitting). Both the Rodriguez and the Steamroller are a blast to ride and are babied with a good cleaning after every ride and a monthly waxing. Strangely, there is no other place in my life where I am so 'finicky' or orderly.....hmmmm.